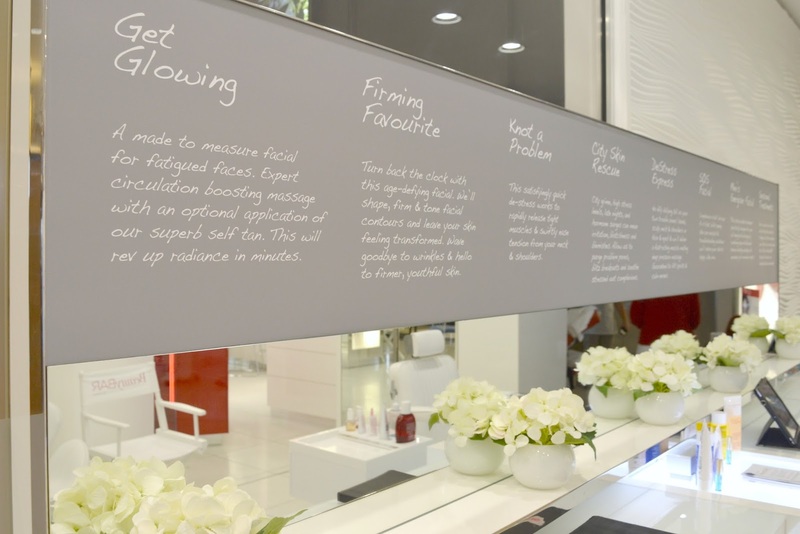 The Clarins' counter at Fenwick in Newcastle have now launched the BeautyBAR offering speedy, affordable beauty boosting facials and relaxing massages that can easily be fitted around your busy life. Each treatment only takes 30 minutes, making it the perfect lunchtime pick me up, an easy treat to slot in-between running the kids around or before you rush to get the bus home after work. 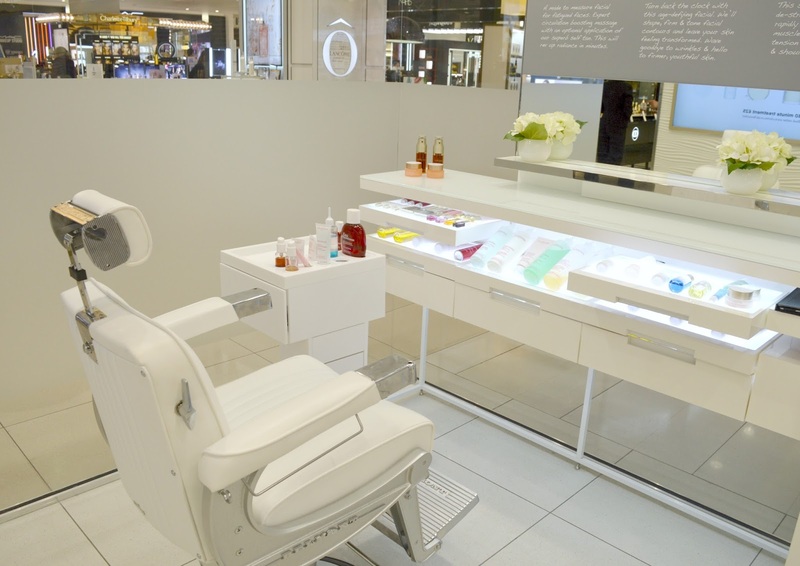 Clarins invited me to their counter in Fenwick to learn some more and, after a pretty stressful few weeks, I was keen to see if one of their new facials could perform some kind of miracle on my tired dehydrated skin! 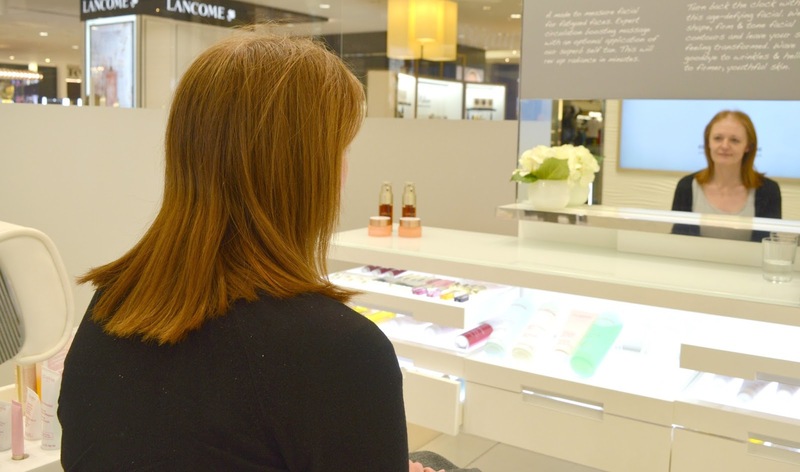 Important things first, you may be thinking that having a facial in the middle of a shop doesn't sound very relaxing, but you may be surprised to hear that Clarins actually have a lovely little haven hidden away from the counter. If you truly want to escape the hustle and bustle of the shoppers, full length treatments take place in the private rooms of their lovely little spa and the BeautyBAR is tucked away just behind the counter. The BeautyBAR offers six different treatments (as well as a mens treatment and seasonal specials) to tackle the most common issues that we all face whether it's battling fatigue, de-stressing or rediscovering your glow. Presented with the menu of treatments available I was surprised at how spot on the choice was - the options were clearly explained, perfect for picking something out in a hurry! I decided to go for the The City Skin Rescue, a deep cleanse and detoxifying facial battling the effects of city grime, stress and late nights - the perfect after work treat! My facial started with a 10 minute consultation where I chatted through my current routine and any skin concerns with my therapist. The products used in the treatment were tailored to me and I was happy to see that some of my current favourites were included. Then it was time to lie back in the plush chair, shut out the world and enjoy 30 minutes of heaven. My skin was in need of some TLC and the treatment felt so good I think I may have dozed off a few times! My treatment started with the calming effects of the Toning Lotion with Camomile before being treated to the Gentle Foaming Cleanser with Shea Butter. The Multi-Active face creams were boosted with the Clarins DETOX booster which is now definitely on my shopping list! As an existing Clarins customer I already have an account set up (if you're new to the brand it's easy to set one up in store at the end of your treatment if you're interested) which meant that my therapist was able to e-mail me a list of all the products used during my facial. With no pressure to buy on the day the list was available for me to look over at my leisure and is now stored against my account if I fancy picking any of the products up from store at a later date. Something tells me it wont be long before I'm back for another treatment! 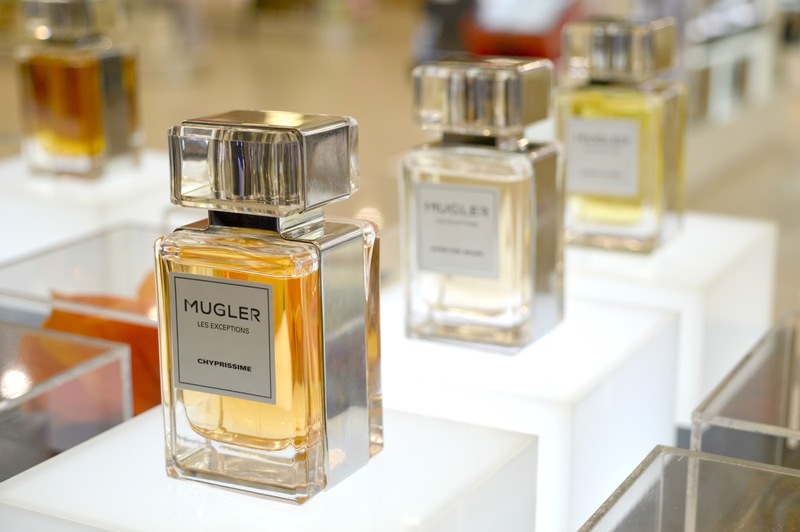 After my treatment I couldn't resist popping over to the perfume counter for a little spritz of the new Mugler Les Exceptions Collection which is an exclusive to Fenwick Newcastle (we're the only store other than Harrods to stock the fragrances!) Beautifully packaged in the most decadent bottles which come in their own stunning presentation box, each scent is unique and triggered some wonderful memories. If you love floral perfumes you need to go and have a try of Supra Floral which smells exactly like walking through a beautiful garden on a Summer's day or my personal favourite, Over The Musk, the most beautiful floral woody scent with a hint of black pepper. I was invited by Clarins to enjoy a complimentary treatment and receive a bottle of my signature scent in exchange for this honest review.